Can one video aggregator handle our video lives? 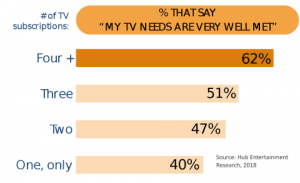 New data shows consumers are looking for help in managing all their video services. But this may not mean that they want a single provider, like pay TV, to fulfill the role. The market is delivering multiple solutions. 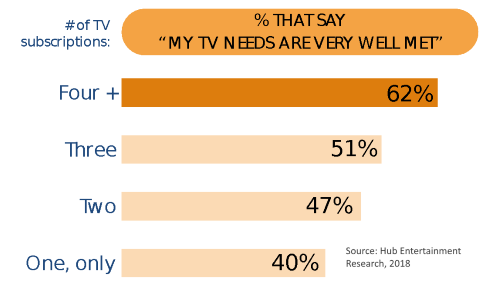 A new study from Hub Entertainment Research finds that people are more likely to say their TV entertainment needs are met if they have multiple video services. However, only 22% say multiple services make it easy to choose what’s best for them to watch. Hub asked if the survey participants would rather access all their TV content from a single source. Of the nearly 50% that expressed a clear preference in their answer to the question, 69% preferred a single source while 31% preferred accessing sources individually. Even most of those that want a single-aggregator don’t want the big bundle back. Hub says 43% want to choose and pay for only the networks they want. Only 10% want large pre-set bundles. The truth is that having a single source for all video content is no guarantee that it will be any easier to find something to watch. According to TiVo, 62% of pay TV subscribers say they sometimes or always get frustrated trying to find something to watch. This figure has declined only slightly (2%) over the last five years, despite many operators deploying search, voice control, and recommendation features meant to alleviate the problem. So, if a single aggregator is not the answer, what is? Several approaches are emerging online. Others are focusing on aggregated video services around large affinity groups. For example, VRV is aggregating SVOD services for the fandom community. Philo is aggregating entertainment television for the non-sports fan. Expect many more services to embrace this approach in the coming months. Many of the devices consumers use to watch streaming video on television also perform the role of an aggregator. Roku, Apple TV, Amazon Fire TV, and Xbox One all provide unified content search facilities. A device user can use voice or text input to find which services have a specific movie or TV show of interest. The cross-service search is also a very effective tool to shop for the best deal for that content. Another aspect of the aggregation problem is billing. It can be difficult managing many individual subscriptions. Here again, both device and online providers are ready to help. Amazon allows Prime customers to subscribe to most of the available SVOD services in the U.S. All the bills come through Amazon’s normal billing system allowing people to manage them in a single place in the browser interface. Roku also allows consumers to signup for services using their Roku account. Once again, a consumer can manage all their subscriptions from a single place in the web interface, and all transactions appear on the registered credit card or payment account. In the online video world, no single source will be able to aggregate all the video consumers need. 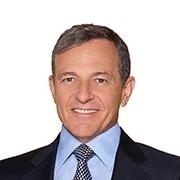 They will, however, increasingly find hub services and devices that can aggregate larger parts of their entertainment needs. 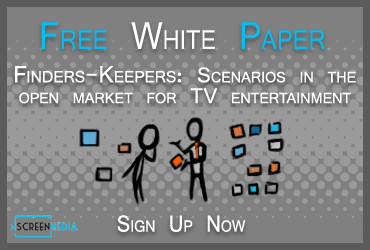 Consumers are finding it hard to locate something to watch amongst all the services they use. Data shows many would like an aggregation service to help. Online services and CE devices are beginning to take on the aggregation role. They can handle cross-service search and even unify the service billing and management. 48% expressed a clear preference for either a single aggregator of content or individual services. 52% had no opinion or only a slight preference either way.